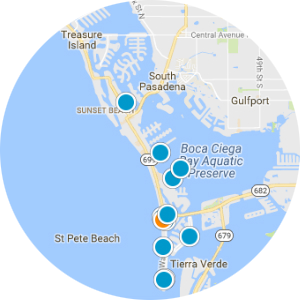 Just a brief drive from Tampa or St. Petersburg, Indian Rocks Beach offers nearly three miles of beautiful and accessible beaches along the glittering Gulf of Mexico. 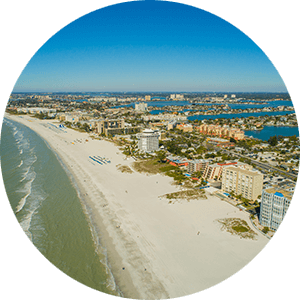 The city's tourist population is one of its greatest assets, as people come from all over the world to visit Indian Rocks Beach for the city's fine beaches and to watch the beautiful sunsets. 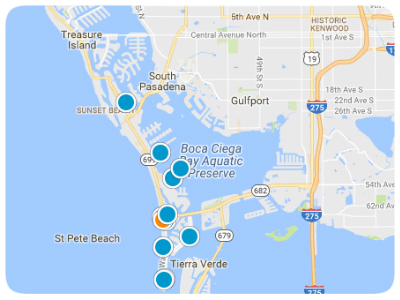 The city has 27 beach access points along Gulf Boulevard. Also found within Indian Rocks Beach are several retail businesses and quaint restaurants for your pleasure. 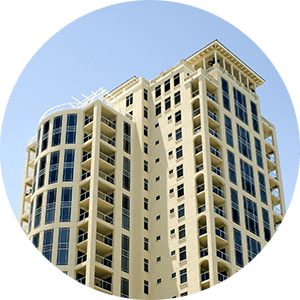 Tuscany By The Sea Condo SubDv. Le Soleil Condo Residence SubDv. Hamilton House On The Gulf Condo SubDv. Reflections On The Gulf Condo SubDv. Sunshine On Indian Shores Condo SubDv. Westview Grande Condo The SubDv.